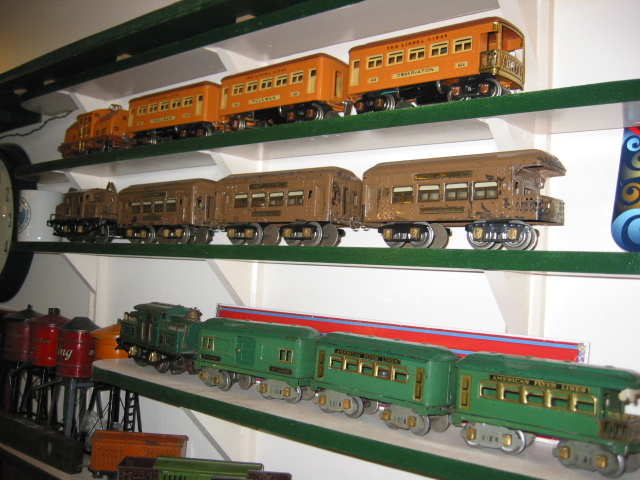 Some of the shelves showing a corner unit, two straight units and some working standard gauge tinplate tracks. 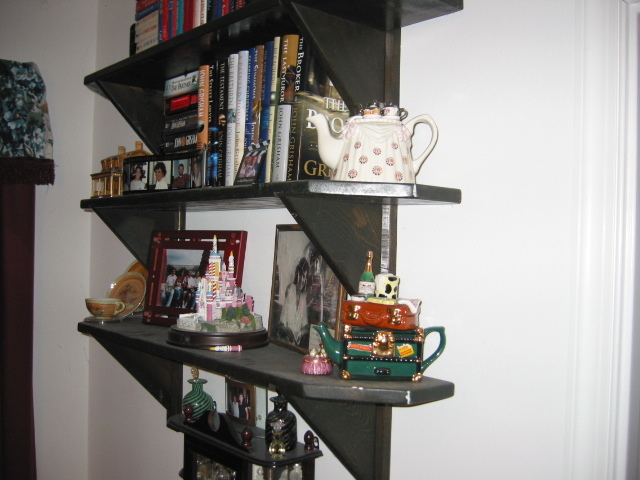 The two top shelves are 3 1/2 inches wide and have a 5 3/4 inch vertical space. 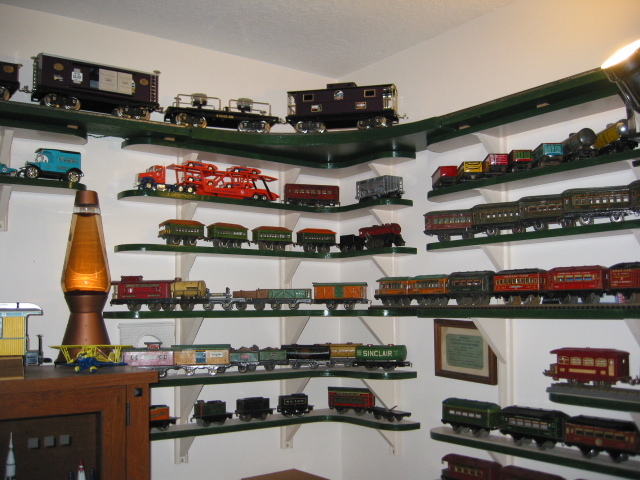 The lowest of the three shelves is 5 3/4 wide and has a 6 1/4 inch vertical space. The standards are made from dimensional lumber. 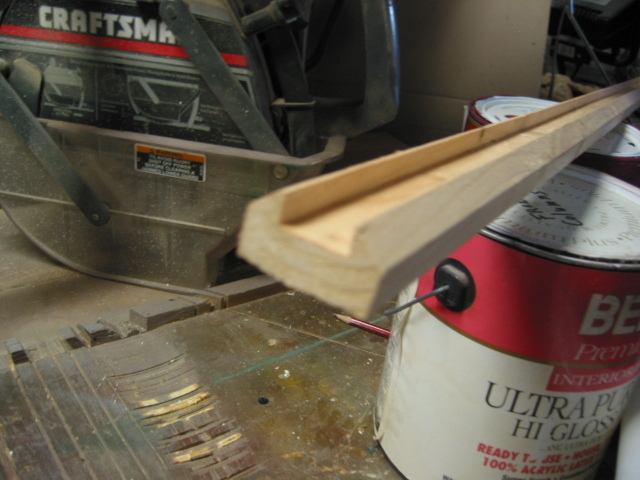 They are 1 1/2 inches wide by 3/4 inch thick, have a 3/4 inch groove that is 3/8 inch deep to hold the triangular brackets. 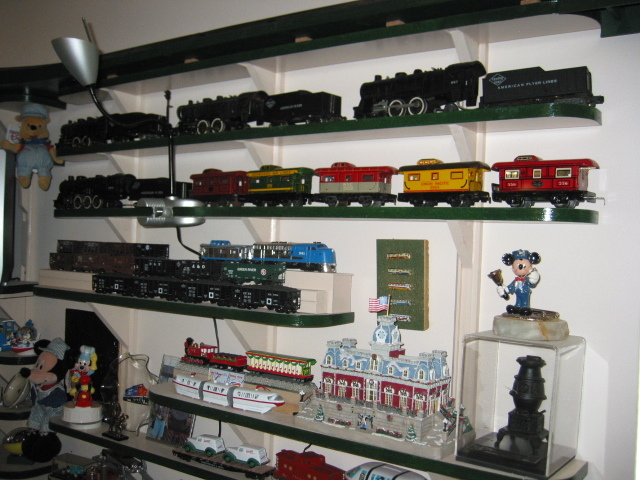 All parts (standards, brackets and shelves) are assembled with glue and screws. The same design can be used to support heavy loads such as books.